John Catt had appealed against the retention of data on him by the National Domestic Extremism Database. Today his attempt at a Judicial Review failed. Gross goes on to justify the judgement by giving the example of the £300,000 worth of damage caused to the factory’s production line during Israel’s massacre in Gaza. He omits to mention that those responsible for the damage were found not-guilty by a jury on the basis that they had acted to prevent war crimes. 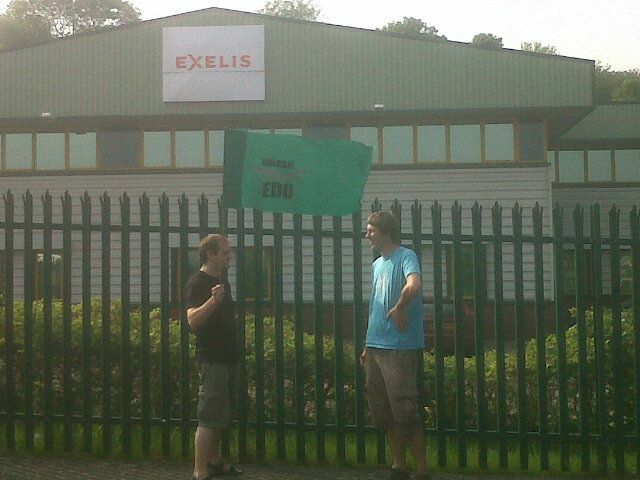 The campaign against EDO MBM will continue until the factory’s manufacture of weapons components in Brighton ceases. 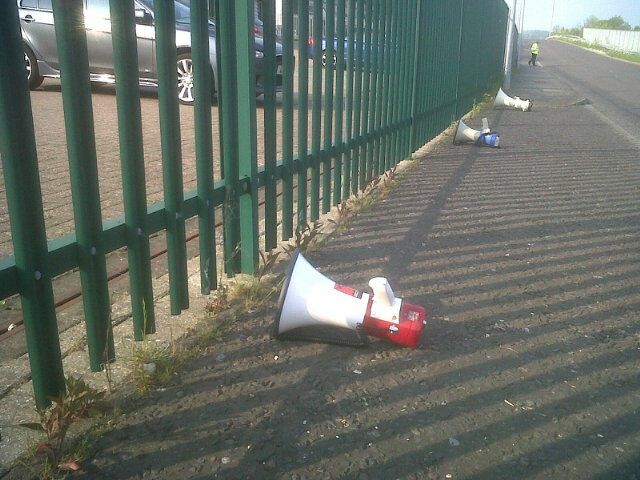 We’ll be up at the factory again today for a noise demo calling on EDO not to produce components, such as Paveway munitons, which would be used in an attack on Iran. This week is all about preparing for our mass demo on June 4th against the threat of an attack against Iran ( http://smashedo.org.uk/events/event/no-to-an-attack-on-iran-no-to-the-arms-trade) – on thursday and friday from 11am we’ll be at the Cowley Club making banners and props for the demo – feel free to come and help. From 11.00am in the Club House. A documentary film by Roy Wallace featuring Conflict, Crass, Subhumans, Flux of Pink Indians, Zounds, Chumbawamba and many more leading lights in the story of anarcho punk. A film documentary by and about Punk Rock women directed by Zillah Minx of Rubella Ballet. When a twenty year old bomb explodes in an abandoned mansion in modern day Berlin the evidence points to a notorious late 1980s anarchist group. That’s the view expressed by one Venona Q on the 325 website in response to some anarchist criticism of insurrectionary comrades. The author goes on: “What is this ‘issuing of statements’ condemning the acts and opinions of others who consider themselves anarchists? And Venona Q concludes: “I began this article by essentially wishing to encourage those of us who call ourselves anarchists to cease mutual condemnation and to assert that actually not one of us has the ‘answer’. 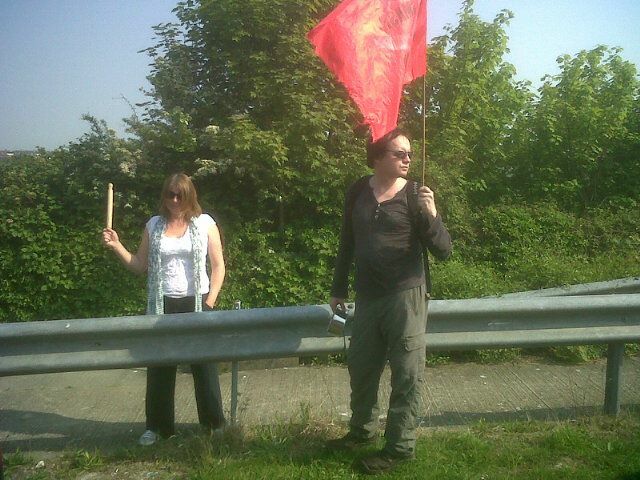 “However, I end by sensing that some of ‘us’ know so little of what it means to be liberated in heart, thought and action, and so little of what class solidarity and struggle really means, that I can only imagine an anarchist society such as appears to be the aim of the Anarchist Federation, would be as fraught with repressions and various prisons as this one. You can almost hear the sanctimonious nasal whine with which this was delivered. This is not anarchy, it’s just leftism – the same boring cliched old leftism that has failed to set the world alight for far too long now. Times are dark and desperate and we cannot be held back in ideological straitjackets. We need new inspiration, new language, new strength to smash this corrupt society and allow a living future to emerge from the ruins. Everyone can play their part, in whatever way suits them best. However, trying to monopolise the means of our resistance is not only futile but also completely alien to the glorious and untamable upsurge of defiant vitality that is true anarchy. Early Thursday morning a support picket was held outside Brighton Magistrates Court for the activist arrested under Section 5 of the Public Order Act at Smash EDO’s Mayday demonstration (see http://www.indymedia.org.uk/en/2012/05/495589.html). 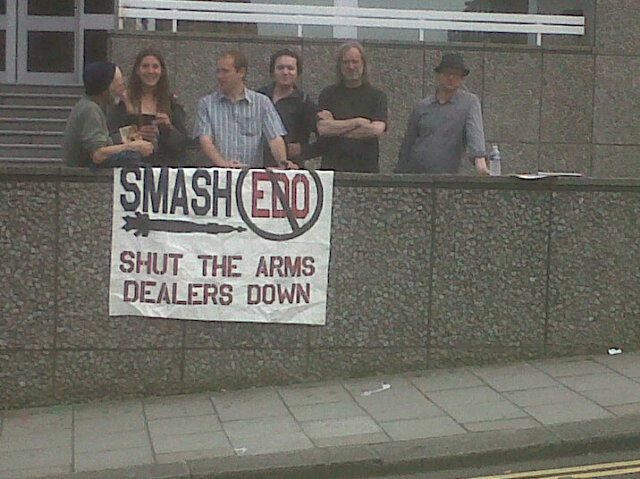 As many Brightonians know, Smash EDO has been campaigning against EDO, the Moulsecomb factory building bomb release units, as used in Iraq, Palestine and across the world, for many years. Sarah Irving talking about her biography of Leila Khaled which launches on Friday 25th May at Madlab in the Northern Quarter.